MySigningTime.com is powered by our digital partners at Platform Purple. Their support team is standing by to help you. Support is the best way to get personalized help from an expert who understands the technology you are using. Please use support instead of calling Signing Time customer support so you can get the most accurate information. Thank you! IMPORTANT – If you have an account make sure you are signed it so your support ticket is attached to your account. How can I watch my digital videos? Can I get the app on my Kindle? Can I watch my videos on Roku? Can I watch my videos on Apple TV? Can I watch my videos with Google Chromecast? Can I watch my videos on my TV, game system, or Windows devices? How can I download my videos to mobile devices? How can I download my videos to a computer? 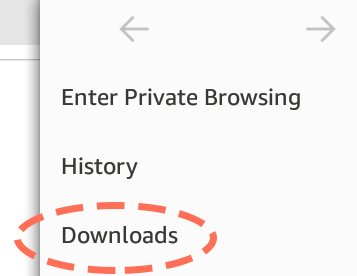 How many devices can I download videos to? What is the size of the download files? Where can I learn more about Digital Subscriptions? How can I give a digital product/subscription as a gift? Our digital products include e-books, PDF guides, mp3 music albums and digital videos. Digital products are not shipped to you in a box. They are downloadable products that are delivered to you electronically through MySigningTime.com (online) and the My Signing Time app. Wondering which products to get? Access them ALL with a 99¢ one-month trial of our MySigningTime.com Digital Subscription. You’ll get instant access to Signing Time, Baby Signing Time, Potty Time, and TreeSchoolers Science videos, ebooks, music and guides. You can cancel any time. We accept Authorized POs from Schools for digital purchases – except for the Digital Subscriptions. Because of the auto-renewal for subscriptions, a credit card must be used to subscribe. To purchase digital, or for Curriculum or Site Licenses, email your school’s official Purchase Order with the Vendor information and include an email address for the Account Manager, to purchaseorders@signingtime.com, fax to 801-676-4441, or mail to Two LIttle Hands Productions, 870 E North Union Ave., Midvale, UT 84047. If you have questions email purchaseorders@signingtime.com. or download videos to your mobile devices for offline viewing! These instructions work for all internet-enabled Kindle/Fire devices manufactured in 2012 or later. The screen shots below are taken from a Kindle Fire HD 8. Your screen may look slightly different. 8. Go to your “RECENT” tab on the home screen and open your new app! How can I watch my videos on Roku? From a browser: click here. How can I watch my videos on Google Chromecast? You can stream videos cast on an Android device, Mac OS or Windows computer at mysigningtime.com. How can I watch my videos on Apple TV? Open the My Signing Time app or go to the streaming player at MySigningTime.com in your browser and view your media. Can I watch my videos on my TV, game system, or Windows device? Your MySigningTime.com account allows you to download videos to a total of five devices. For example, you could download to one computer, two phones, and two tablets (or any other combination thereof, as long as the total isn’t more than five). If you need a few more than five, purchase or subscribe using a different email address to create a new account. That new account allows you five more devices. The complete digital library is approximately 40 GB. An individual video is approximately 500 MB. The files are an encrypted format specific to our mysigningtime.com player. Where can I manage my account or subscription? Please note that your MySigingTime.com digital account is separate from your SigningTime.com store account and your SignItASL.com account. or click on “Account” from within MySigningTime.com (upper right corner).